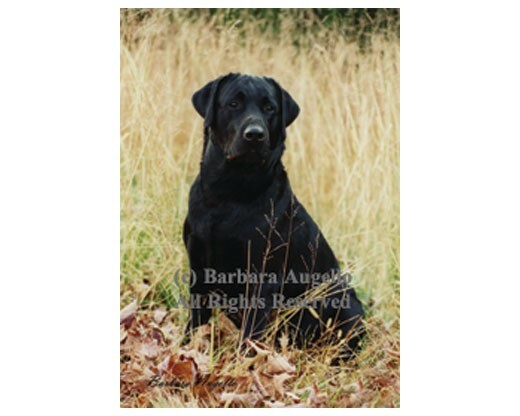 Photo of a black lab in tall grass and fall leaves. 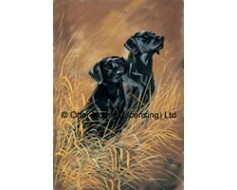 Portrait of two black labs in the tall grass. 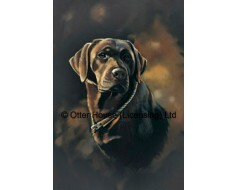 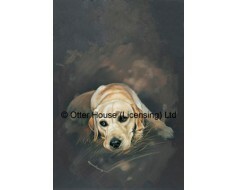 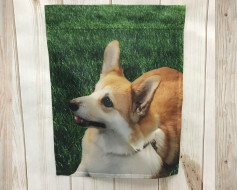 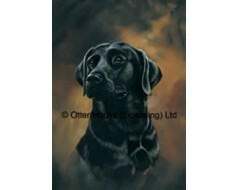 Painted portrait of a yellow lab dog on a brown background. 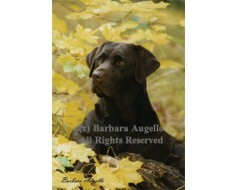 Photo of a chocolate lab laying among the fall leaves. 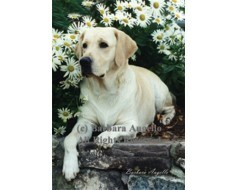 Photo of a yellow lab laying on a stone wall with daisies.